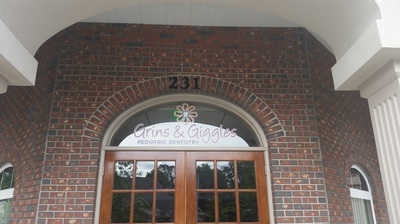 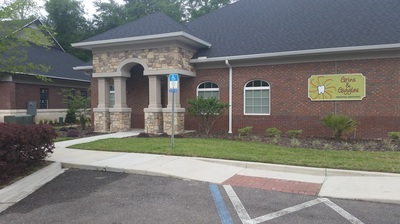 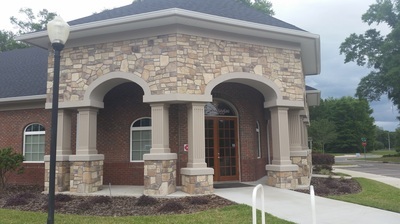 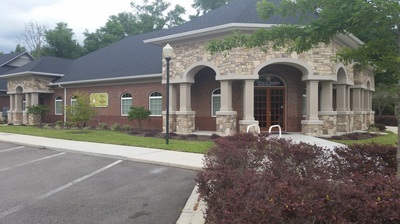 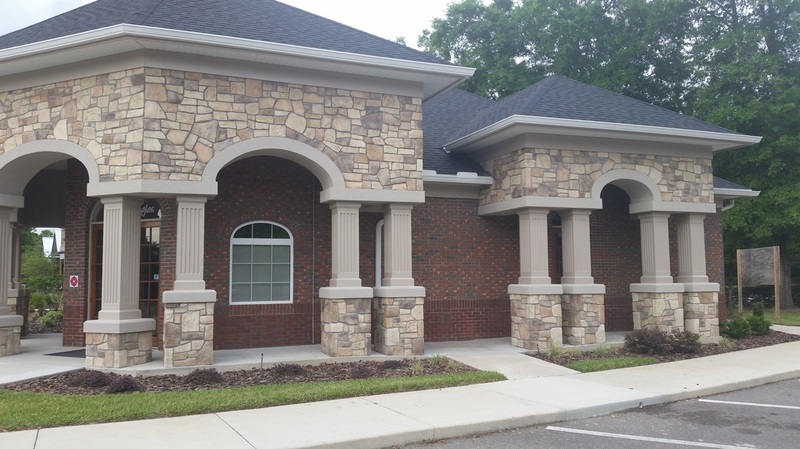 Grins & Giggles is a new brand of customer friendly dentistry performed in a state of the art pediatric facility serving infants, children, teens, and special needs patients built in Jonesville, Florida. 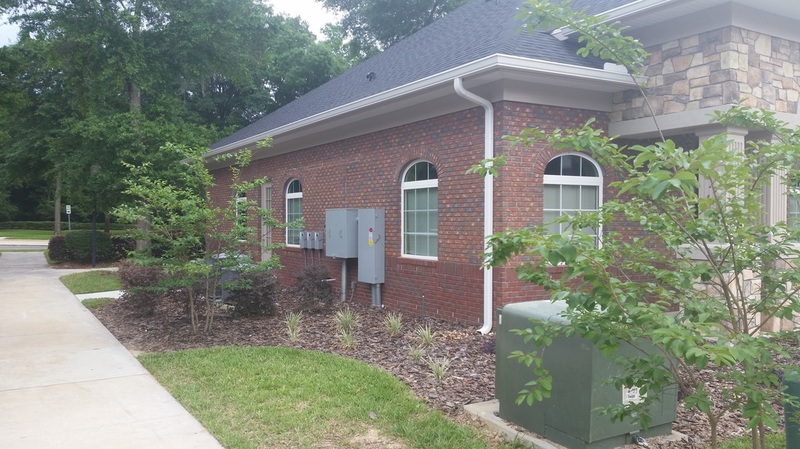 The building was constructed of two inch insulated and reinforced CMU load bearing walls sealed with damp-proofing. 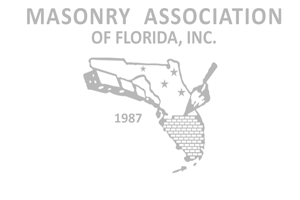 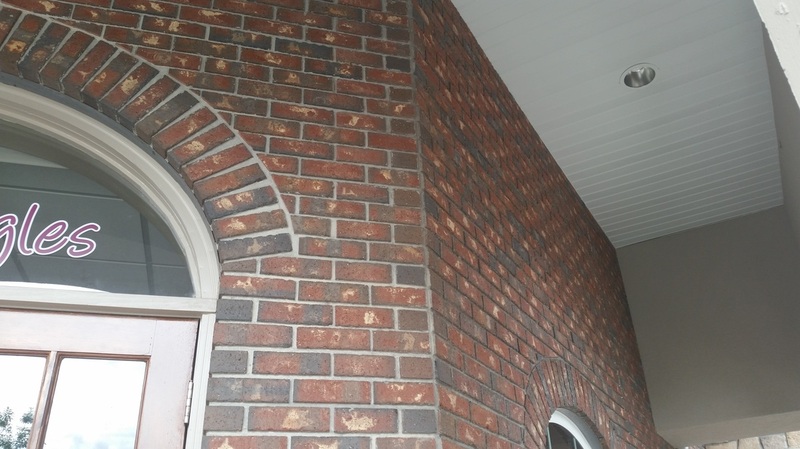 The brick veneer was a combination of Hanson old Williamsburg and Columbus Burlington. The brick were also used for the soldier and arch accents. 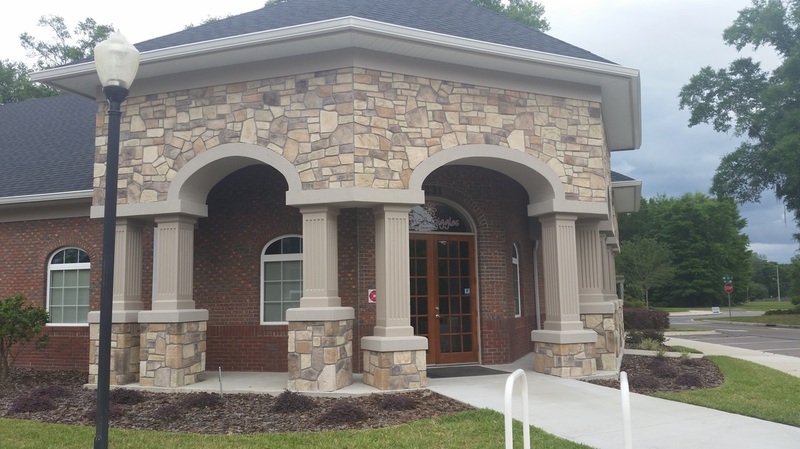 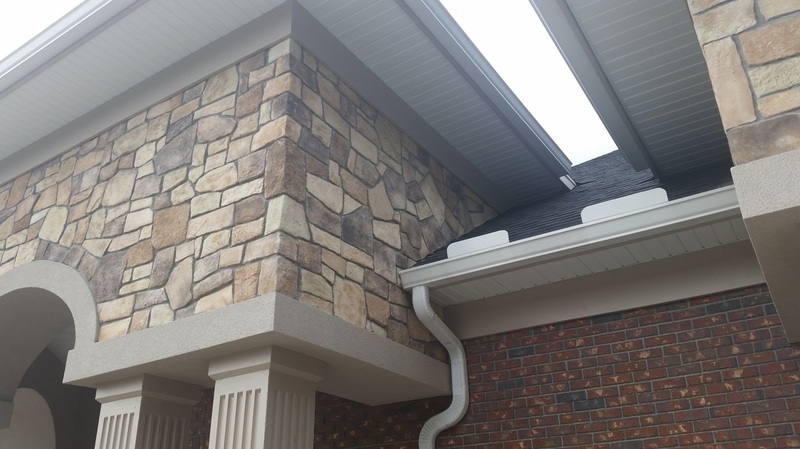 Cultured Ancient Villa Ledgestone was used to encase the columns and identify the entries.